Oh, you mean you didn’t know I like torturing myself by reading the sequel to a book that literally almost had me screaming and pooping my pants like 75% of the time? WELL FOLKS, THERE’S A SEQUEL AND I READ IT. Yep. I did it. I have to admit, I didn’t like this as much as I did You, but I always go into sequels expecting them to not be as good as the debut book. Hidden Bodies kind of let me down in the sense that I didn’t feel as urked as I did when I read You (WHICH IS REALLY WEIRD TO WRITE I KNOW, BUT IT’S TRUE). I didn’t really see the point to this book. And I guess there wasn’t as much suspense in Hidden Bodies as there was in You. I also felt a little weird about the fact that a lot of the women in this book actually LIKED Joe, like in You he actually had to insert himself into their lives and even then, it took them some time to warm up to him. All in all with a few bumps in the road. Hidden Bodies makes for an okay sequel. Is it completely necessary? Not really, but still an entertaining read. So, I SWEAR I wrote a blog post about this before but I guess not. Let me just begin with OH DEAR GOD WHAT DID I READ! ?…in the best way possible. HOOKED. SHOOKETH. MIND. BLOWN. I can’t even begin to explain what this book did to me. I felt so weird reading it but I couldn’t put it down. Not for one second. I just kept going and going and Joe was just the worst human being alive but I HAD to know what happened next. To be honest, I had a very big love hate relationship with all the characters honestly…except Peach I HATED Peach. But seriously, this book took me through an emotional roller coaster. I even got one of my bet friend’s hooked on it and I think she might have hated me for it because it was just one of those books you absolutely love but at the same time CAN’T BELIEVE IT HAPPENED. I’m seriously proud that Caroline Kepnes is local to me here in Massachusetts. I love knowing there’s an amazing author like her around and from my state. Seriously. If you like thriller/suspense books. Go pick this up. It’s literally a heart attack on every page. Happy New Year everyone! I hope everyone had a wonderful few weeks into 2018, and have decided on their Goodreads reading goals (mine is 50 books for 2018) and are well on your way to reaching that goal. I for some reason decided to try and start my year with….a suspense/thriller, which is a bit interesting. I have to say this book kind of fell flat for me but somehow kept me entertained. I HATED mostly everyone except Lydia. I found Claire to be obnoxious, and I kind of knew what was going to be happening as I kept reading. I just couldn’t get invested into the story because my dislike for Claire. Also, I found that a lot of the scenes were a bit unnerving. Like some seriously graphic scenes that made me feel a bit uncomfortable. I somehow found myself continuing reading though. It was a really weird reading experience to be honest. If you’re okay with some really graphic stuff, I’d say this is a good thriller for you, but I guess it wasn’t for me. OH MY GOODNESS. This was such an entertaining and captivating read. I don’t know how I got sucked into the series because it’s not really in my wheelhouse, but I’m so glad I took a chance on it. This last book was AH.MAZE.ING. This book was like a western Ocean’s Eleven. It was so awesome and kept me so engaged and so invested in the story. There were so many twists and turns and the end conclusion to all of it was just so satisfactory it was so great. I don’t think I’ve read a book by Rae Carson that I didn’t enjoy. I think this might be my favorite series by her. She closed everything up SO NICELY and in such an entertaining way. I also love the use of another person with abilities, although I was hoping the series would continue so we could see the possibilities and origin of how people get their abilities etc. But it’s all good, I still got three really great books from this series. I absolutely love this series. Like above and beyond. This is SO GOOD. All of the work with the plot and the intertwining everything it’s so great. I literally could not stop reading this because I kept wanting to continue reading it. There’s something so amazing about the way this is written and how EVERY character has something to connect with and just makes reading these books so enjoyable. I’ve also read Before The Devil Breaks You, and I’ll be writing a review on that as well, and it’s just as good as this book, even better. I cannot recommend this book enough, pick up The Diviners if you haven’t and if you have let me know how you enjoy this series. What Jane doesn’t know is that at Tu Reviens her story will change; the house will offer her five choices that could ultimately determine the course of her untethered life. But every choice comes with a price. She might fall in love, she might lose her life, she might come face-to-face with herself. At Tu Reviens, anything is possible. I wanted to like this book so much. I tried and tried to get into this book but it’s just not happening. I’ve spent months trying to get through this book but the writing style is so odd, it threw me off. I don’t want to say it’s bad writing but… it’s not for me at all. I spent a lot of this book confused, especially the first few chapters, and I actually double checked to make sure this wasn’t a sequel because I felt like I started in the middle of a series. I couldn’t connect with any of the characters and I struggled to even like any of the characters. I know some people who really enjoyed this book but for the life of me, I can’t figure out how they managed to get through this book. 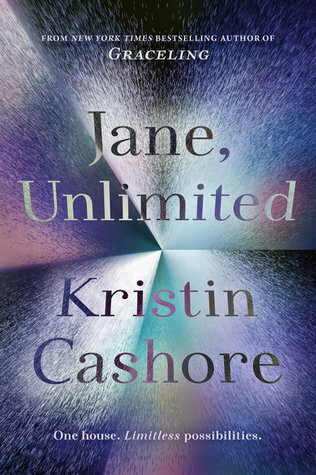 Jane, Unlimited wasn’t for me at all but maybe you’ll like it more than I did. …until her soul is bound to her enemy. 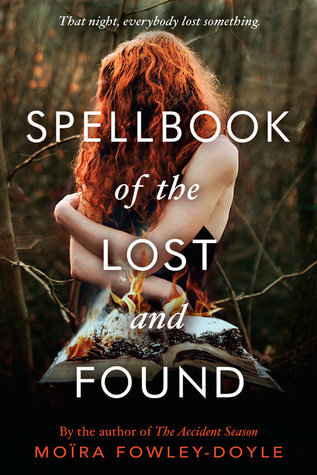 This book is everything I want from a YA fantasy. It has awesome characters, great world building, a well thought out plot, and lots of action. The world of Trutinor is so creative and such a refreshing change from the majority of YA fantasies I’ve been reading lately. Sacha built such an amazing world and she did it in a way that was easy to understand and I was able to picture everything clearly. I absolutely loved the main character, Eden. She was so well written and complex. There is a love triangle but I, hater of all love triangles, didn’t mind it at all. There’s just something about how Sacha wrote it that was so well done. Overall, I really loved Keepers. It’s one of my favorite books I’ve read this year and I can’t wait to see what happens in the next book. 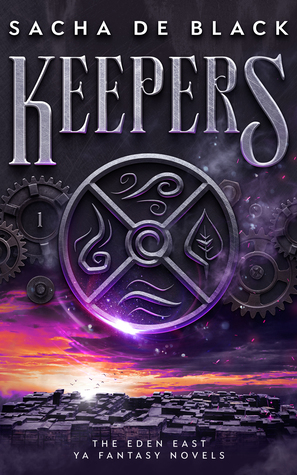 If you’re looking for an action packed YA fantasy, I definitely recommend Keepers by Sacha da Black.